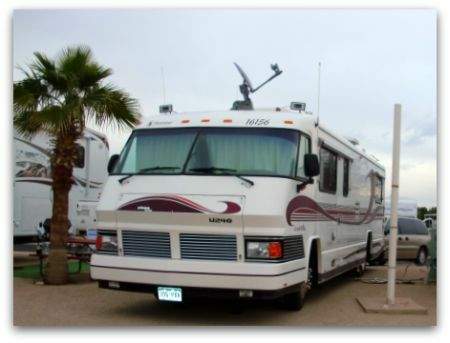 It's becoming quite common for RV parks to refuse space rentals to any RV more than 10 years old. For those of us who maintain our rigs and keep them looking almost new this seems like age discrimination. What about those who have restored a vintage RV to it's original beauty. Why can't these RV parks simply refuse access to RVs that are not well maintained regardless of their age? 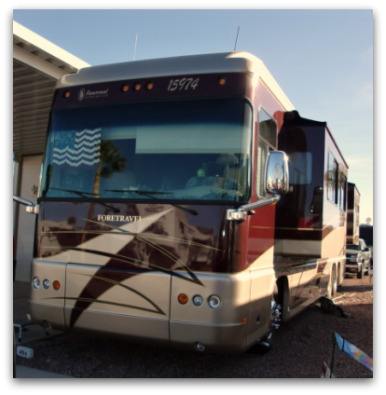 The photos are both of Foretravel Motorhomes. Even though one is clearly an older model you can see it's well maintained and cared for. Unfortunately I don't believe that is the case. I have a well maintained 1994 Coachman. In the greater Portland area I can only fine ONE park that will accept me. Some places say they can accept older rigs if approved by management but I sent photos of my nice rig and they rejected it for reasons they refused to share. I found a second place willing to accept me but only if I stayed longer than 3 months and that is not the case as I am a traveling nurse leaving in 2. I'm getting very discouraged. I too have recently found that my 1998 very nice motorhome is not welcome in RV parks around the Portland ore area. I was surprised and very disappointed to learn that all who have a coach over 10/12 years of age are not welcome. I wrote to Good Sams Club to mention how discriminatory this practice is toward people who do not have thousands to spend on expensive motorhomes. It should be changed as the anti discrimination of race/age, etc. If you have a pride in your home and keep it up to a good standard than you should not be told that your home is too old. This is discrimination pure and simple. If there is an attorney out there this is a good case. For anybody who is interested, the Web site tincantourists.com has a Tin Can Tourists’ Friendly Campground Directory. This program allows select and member referred campgrounds to express their support of vintage trailers and motor coaches by joining TCT and listing their campground as a "Tin Can Tourists’ Friendly" facility. It would be great if other RV websites would initiate other similar programs as well, to discourage this type of practice. We're full-timers in a '78 Winnebago saltine box. It ain't the prettiest thing around but I don't have the bumper duct taped on either. What most don't seem to realize is that RV PARK OWNERS REALLY DON'T CARE if you don't like their policies. It's only the Prevost and Marathon owners that can afford their outrageous nightly rates anyway and the likes of THEM wouldn't DARE be seen parking anywhere NEAR riff-raff like us. Let the hoity-toity have their private little clubs. Well, first let me say I do drive a new class A but it took many years to get in a position to own one. I started as most in a tent and slowly moved up. I was recently at a camp ground that refused to let a fifth wheel in for that reason of age. So me and another gentlemen that was checking in at the same time both said if this is the kind of place you run we think we will just stay with the filth wheel at a road side park the company will be a lot better. Needless to say the guy changed his mine and let all of us stay, but was surprised when we said no thanks and stayed about 25 miles down the road. Sometimes it just takes sticking together to prove a point. A lot of folks fall in love with their RV and even give them names. 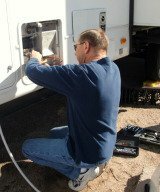 They prefer to keep their beloved RV and maintain it rather than trade for a newer one every ten years. The cost of trading can be significant and most dealers offer only wholesale value on your trade-in. Those of us who must be budget conscious are choosing to stick with what we have instead of drowning in monthly payments. Many RVers enjoy the same great traveling, and family time experiences in a vintage motor home or travel trailer as they might in the shiny new one, but without all the expense. I agree that RV parks have the right to deny space rental to anyone, but I think that it should be based more on a well maintained unit than it's age. Personally I love coming into RV parks and seeing vintage camping trailers that are lovingly maintained by their owners. Refusing a paying customer based on age of RV is pure snobbery. It's kind of a double standard, isn't it? "Save your money and stick with what you have. Learn to make do." "Every 10 years you must buy a new rig or - DON'T EVEN THINK OF CAMPING HERE!" There is quite a dichotomy between a gleaming $300,000 Prevost coach and a 15 year old fifth wheel growing moss and showing some rust stains. Part of living in a community is living with people who are not just like you. Its a shame people are not comfortable with this. We lose track of this with the homogeny of the suburban developments these days. Fortunately for those with older units, a well maintained unit will rarely be questioned or restricted - the policy is in place so they have a reason to reject the poor people. In most cases it will not be enforced against the neat and shiny.